HubSpot’s Partner Program has been working for over three years to help provide an answer to this question: “What does it take to transform a business into an inbound business?” During that time, we've continually gathered user research, both internally and externally, so our training kept pace with the needs of our HubSpot Partner Agencies around the world. 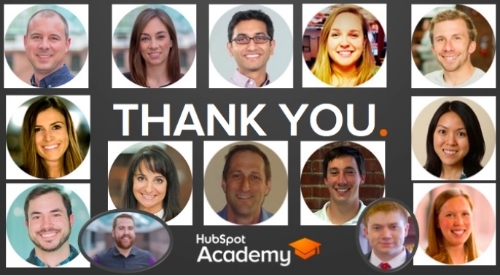 On June 1st, HubSpot Academy launched a fully updated version of our Partner Inbound Success Training; a four-month collaborative effort involving almost 50 contributors. Our result is a defined road map to inbound business success. If you’re a HubSpot Partner, this is an invaluable resource to help you plan, execute and grow your business. If you’re not a Partner, understanding HubSpot's process for training and certifying our Agency Partners will help you pick a qualified agency, should you choose to hire one to help with your own inbound transformation. What is Partner Inbound Success Training? HubSpot Partner Inbound Success Training is a complete survey of the programs, terminology and strategies you need to plan and build a unique inbound business. It's the playbook for marketing, selling, and delivering inbound service retainers that delight HubSpot customers. This playbook has three parts: First is Plan + Build, which is all about understanding how to staff and run a scalable inbound business. Next is Market + Sell, where we'll give you the resources and assistance to help you grow your agency and sign on more HubSpot clients. Finally, Deliver + Delight teaches you how to execute on inbound marketing campaigns to drive successful clients that continue with your retainer services. Now, let’s dive into these stages of success that you'll go through during your journey towards becoming HubSpot Partner Certified, and the key resources to use for success along the way. It’s a competitive advantage to say you offer this, but you need to be a practitioner of this methodology to truly understand how to build a business around it. 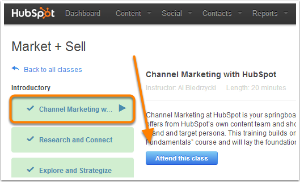 That starts with learning the inbound fundamentals from HubSpot Academy, which is a free class you can take. Core components of this class include goal setting and planning, buyer personas, content creation and campaigns. In our Building an Inbound Business class, we provide you with guidance on how to calculate your minimum net revenue necessary to bring on new clients and staff. You'll work on identifying key financial numbers you need to hit in order to grow your business and other important financial details. 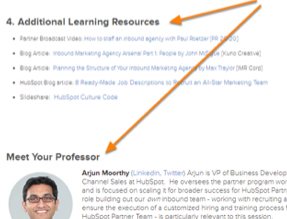 Key Resource: Download any Additional Learning Resources your Professors make available, such as Arjun Moorthy's Sample Profit & Loss Spreadsheet to help you get started with planning the finances of your inbound business. 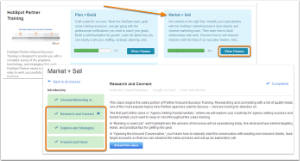 Log in to your HubSpot Partner Training under 'Plan + Build' to download. The HubSpot Partner network is an ever-growing, worldwide community with over 1800 agencies in 65 countries. It's worth your time to tap into the examples we have documented from this amazing network of practitioners, or join our monthly Partner Broadcast. Each has a unique experience you can learn from. Key Resource: Visit the Building an Inbound Business class to view specific examples of partners who specialize on a target customer segment and resources for coming up with your own targeting strategy. Log in to your Partner Training classes under 'Plan + Build' to get started. A successful plan should take into account capacity planning, employee utilization rates, staffing structure, hiring order and sample job descriptions. You'll need to consider which roles you should be hiring for, how you'll get those new hires and what the capacity is of your client-facing staff members. Key Resource: Join the next Partner Strategy Lab located within "Building An Inbound Team" to have your current organization chart and future plans for growth reviewed by your peers in a live workshop. After you’ve got your plans up and running to build out your inbound operations, it’s time to launch campaigns and start generating some inbound leads! Gather your list of leads, create a game plan with your Channel Account Manager (CAM), and learn how to connect with your top prospects to strategize a winning solution. Before you can launch any campaigns to start generating leads, it's good to take stock of what you already have at your disposal. You may already have enough quality content to generate inbound leads, or maybe it's time for a refresher on what quality content really looks like. Quality content is essential to keeping your sales pipeline full, and you'll learn how to utilize lead-generating content from HubSpot’s own marketing department to use on your own agency's website right away. 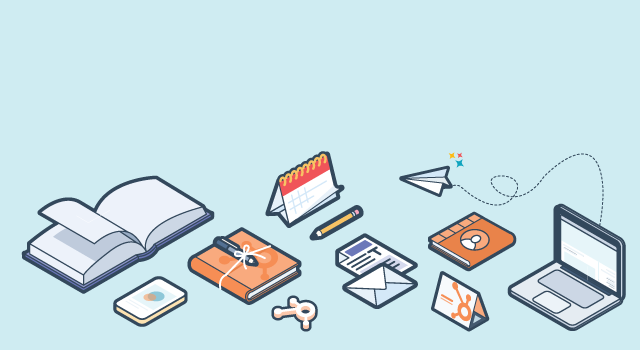 Key Resource: Visit the Channel Marketing with HubSpot class within your HubSpot Partner Training resources to learn step by step how to customize HubSpot’s own high performing lead generation ebooks and jump start your inbound marketing. While you work on getting leads into your pipeline through quality content, it's also time to bulk up on agency selling fundamentals. This will help you initiate inbound conversations not only with any hot prospects that are looking to start a conversation right now, but any leads that you start to generate with your awesome content. Visit the sales training classes in this section to explore on how to research and connect with your contacts, explore their challenges and design a services strategy. Then, learn how to present a winning solution and close the deal naturally. Key Resource: Watch all 9 videos that make up the Agency Selling Fundamentals within your HubSpot Partner Training and get trained by HubSpot's top reps on qualifying leads and closing sales. The last stage is all about delivering what you've promised - providing remarkable retainer services powered by HubSpot that generate high ROI. Furthermore, the most successful Agency Partners recognize that delighting their clients is essential for retaining them and for creating a valuable referral network. The Delivering Inbound Services training is designed to provide the tools and information you need to effectively deliver inbound services to your clients. From tips on getting organized to detailed frameworks for appropriately allocating your time, we’ll cover it here. Now that you’ve closed your first inbound retainer and have a client on HubSpot, you need to understand client retention and get the resources to keep them happy and coming back for more. 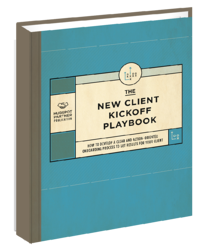 Key Resource: Visit the Delighting Inbound Clients section to get training on and downloadable resources to help you manage and retain your clients such as the New Client Kick Off Playbook. Practicing your inbound ROI reporting skills is important for any Partner. This section of the training will teach you how to report results and lessons learned at every opportunity, not only internally to your own staff as well as to your clients. If you've made it this far, you've got the essential ingredients in place to be a successful HubSpot Agency Partner. Now it’s time to get officially Partner Certified. 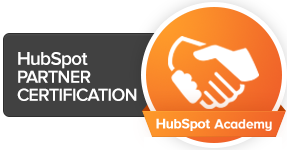 Please note that having a minimum of one user being HubSpot Certified in your account is a bare minimum requirement before being able to take the Partner Certification Exam. A final thought - work together. Channel Account Manager (CAM): CAM's assist you with qualifying leads and closing sales. Channel Consultant (CC): CC's assist you with your HubSpot account strategy for your own HubSpot account as well as for any clients you bring on. 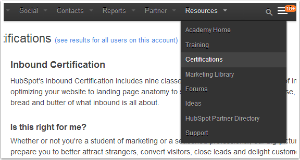 HubSpot Academy and HubSpot Support: Both teams have dedicated staff to help Agency Partners master the Inbound Methodology and troubleshoot any technical challenges you may have along the way. HubSpot Online Community: Join the HubSpot Partner Forum on LinkedIn, join Inbound.org and use #HubPartner on Twitter to tap into HubSpot's growing Partner community. We recruited the leaders from the HubSpot Partner marketing, sales, services and management teams to teach you how they do what they do, including giving you access to their most successful processes, tools and soundbytes. 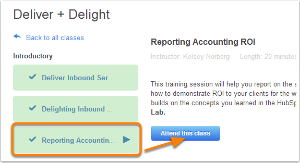 Get into the HubSpot Academy Training. Start practicing the Inbound Methodlogy. Pass the HubSpot Certification and become your own best case study. Then, move on to the Partner Inbound Success Training content to begin building a business around what you’ve learned and pass the Partner Certification Exam. After that, the inbound world is your oyster! Good luck and hope see you in our training, #HubPartner!